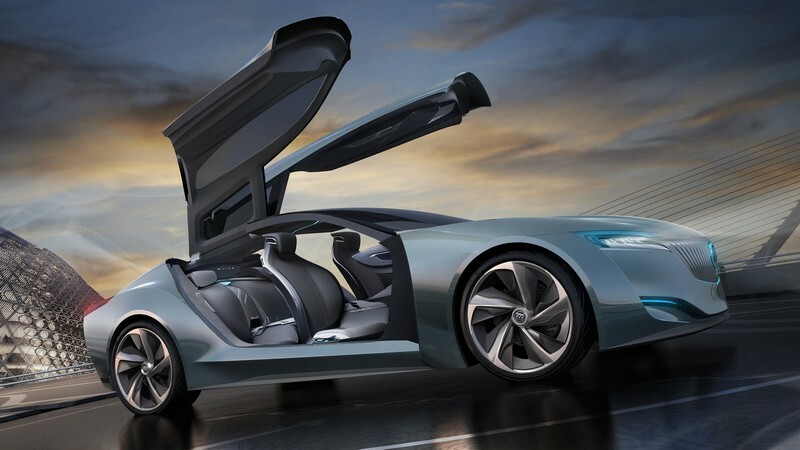 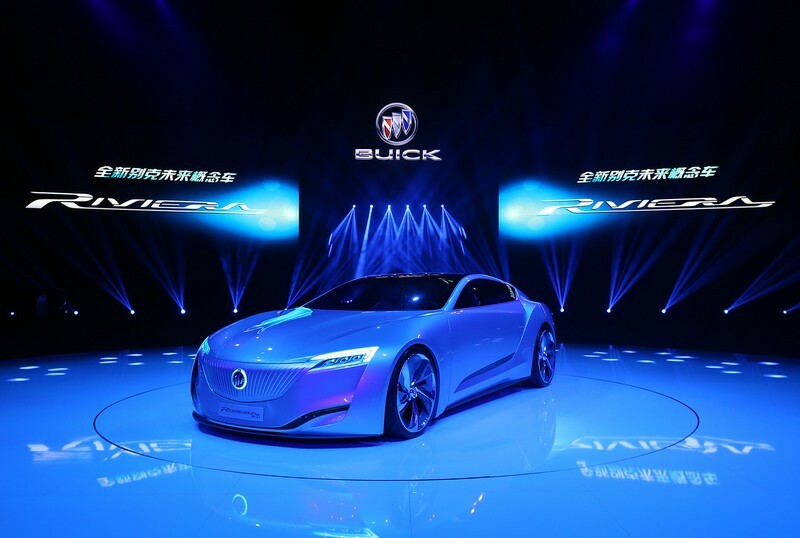 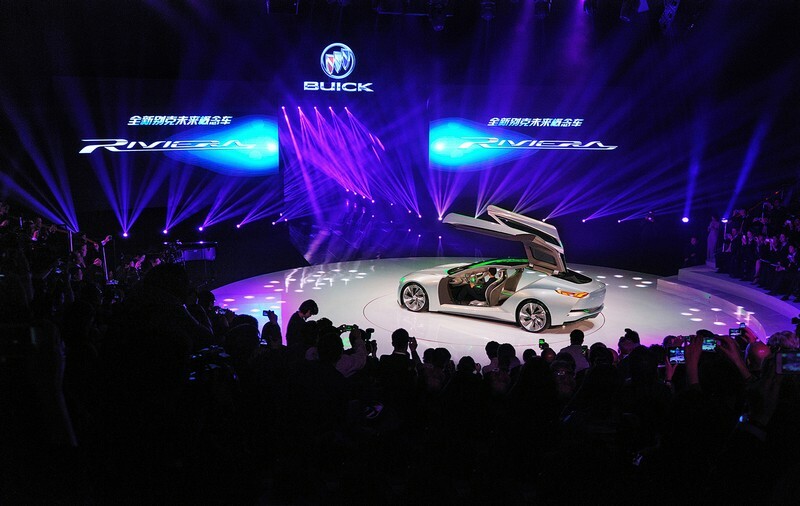 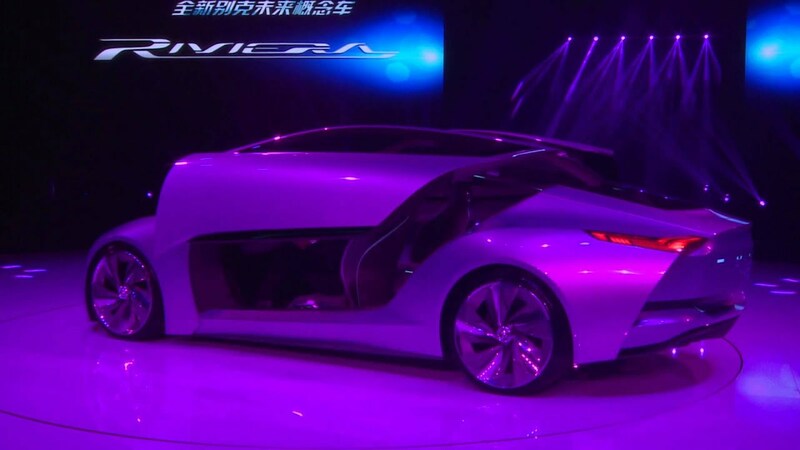 SHANGHAI – The new Buick Riviera concept vehicle made its global debut this evening in Shanghai. 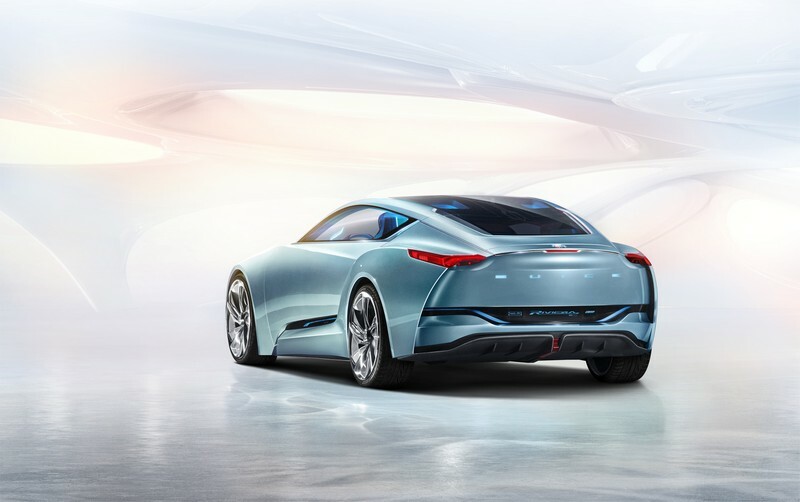 "Riviera is a design study of the future expression of Buick design with its elegant athletic shape, sculptural beauty, and precision execution," said Ed Welburn, GM vice president of global design. 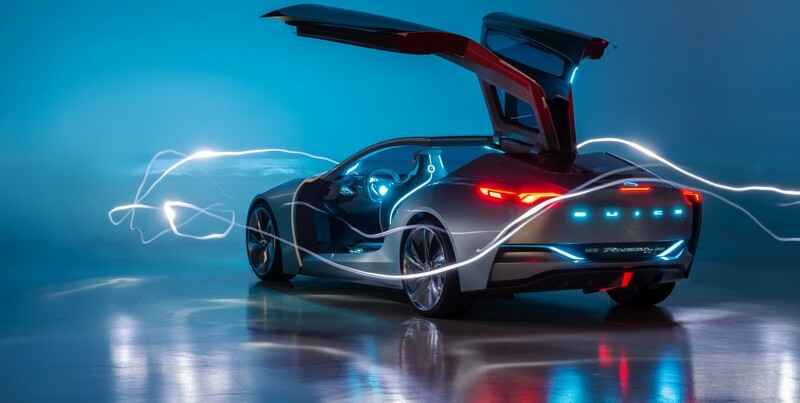 "It is a great opportunity to share Buick's future design language and technology strategy." 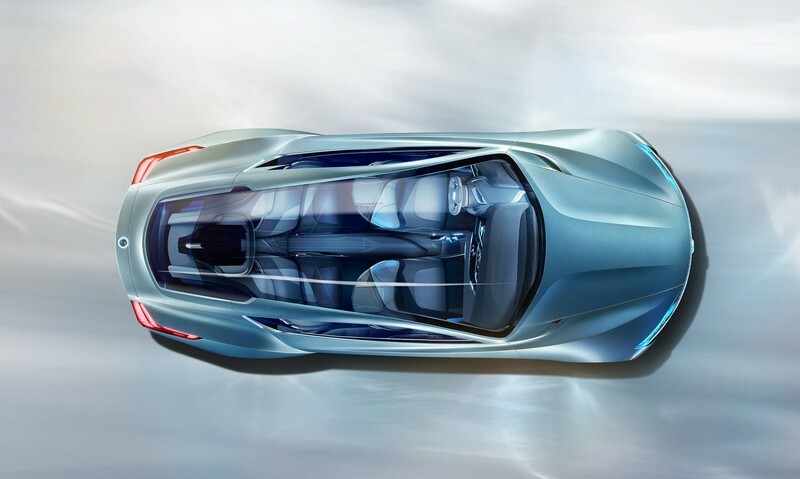 The concept’s silhouette with Buick's recognizable "sweep spear” has a three-dimensional effect that resembles waves in the ocean coming to a standstill for a split second. 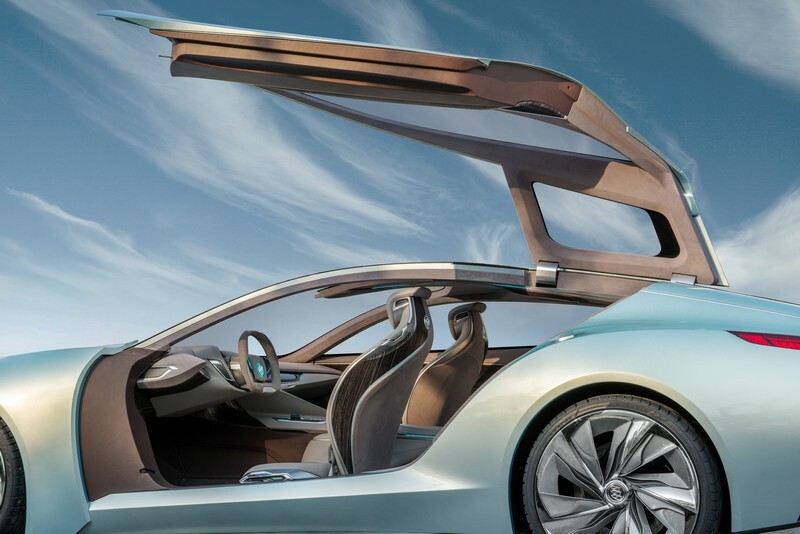 Buick's unique gull-wing doors exude a dynamic yet elegant ambience. 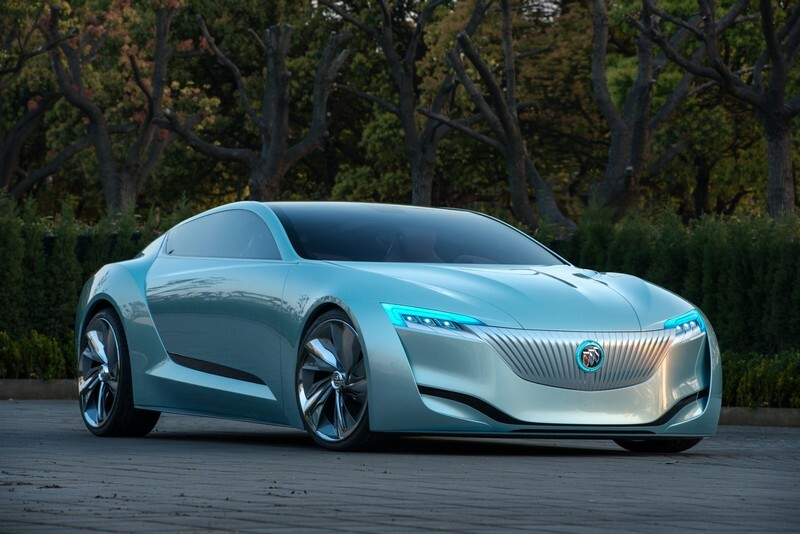 The new Riviera has an ice celadon finish inspired by jade. 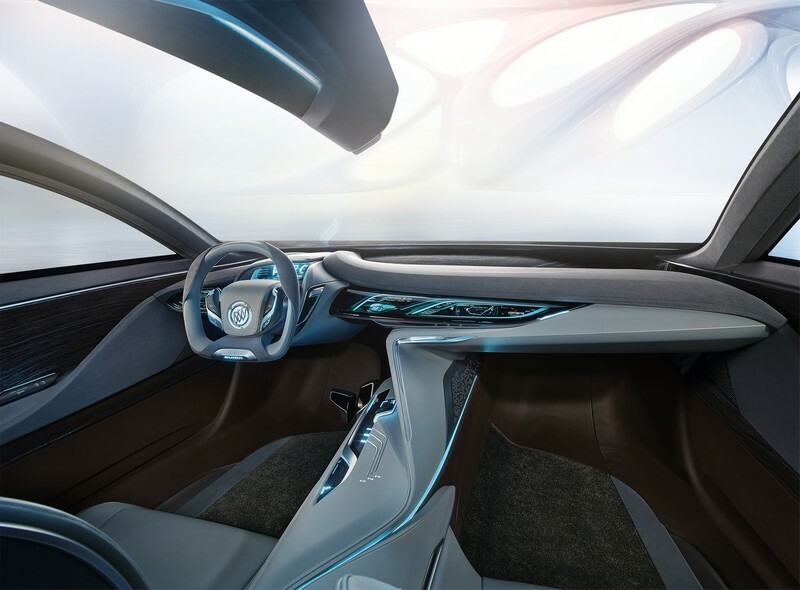 Up front, the concept vehicle’s updated waterfall grille and wing-shaped daytime running lights will both become key elements of Buick's future design DNA. 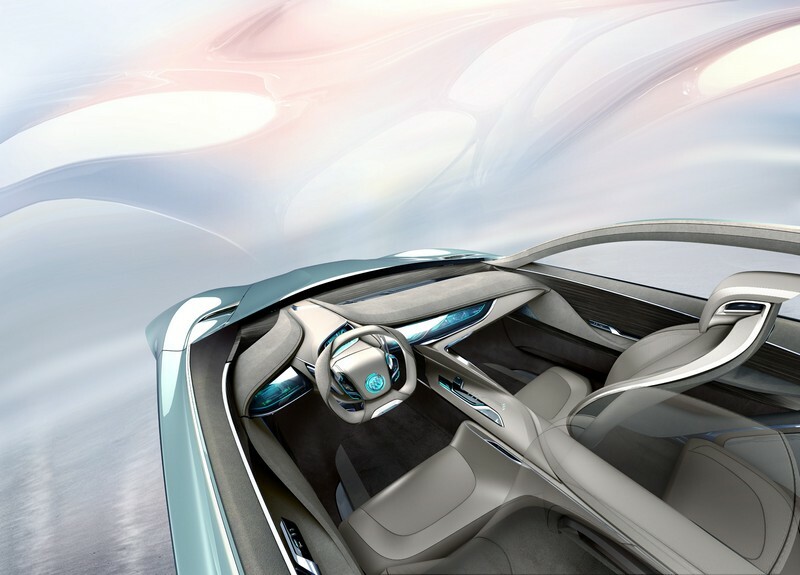 The interior carries on Buick's signature 360-degree integrated design with high levels of elegance and refinement. 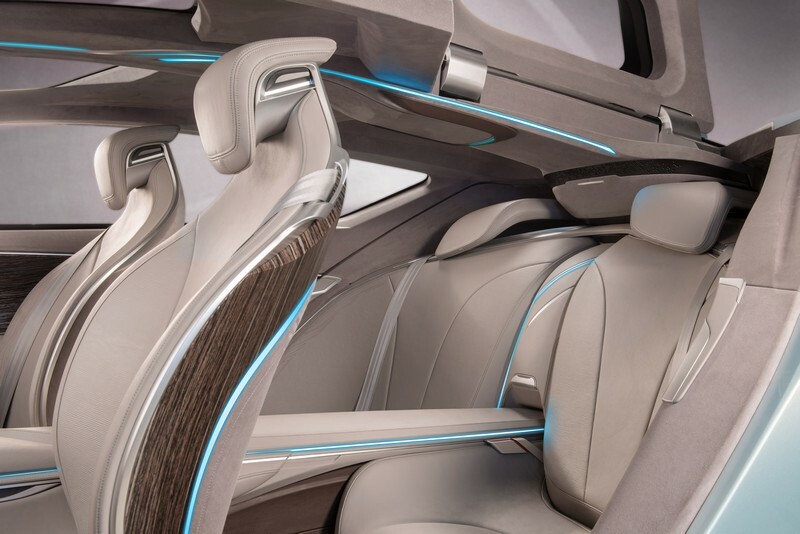 The eaglewood tone interior features the abundant use of refined materials such as sand-blasted aluminum alloy, lava suede and ebony used in a bold style reminiscent of traditional Chinese jade-inlaid wood. 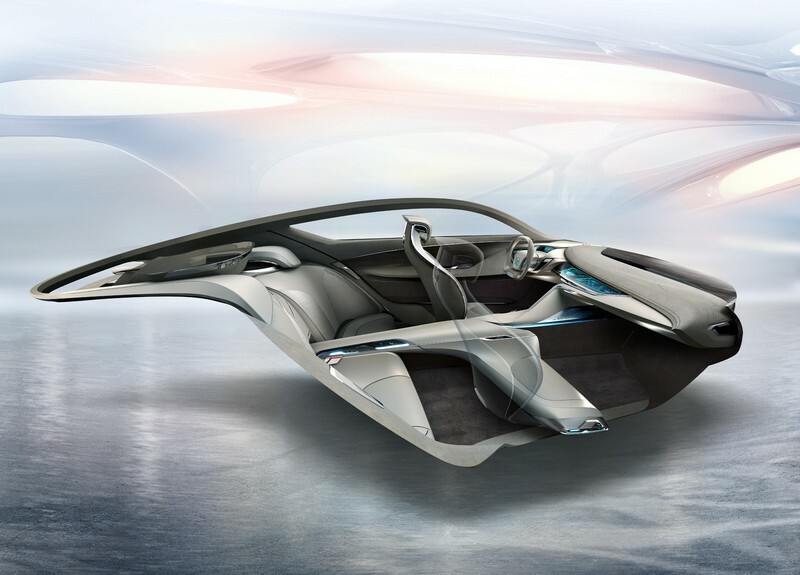 This creates a striking visual effect as well as a subdued sense of luxury. 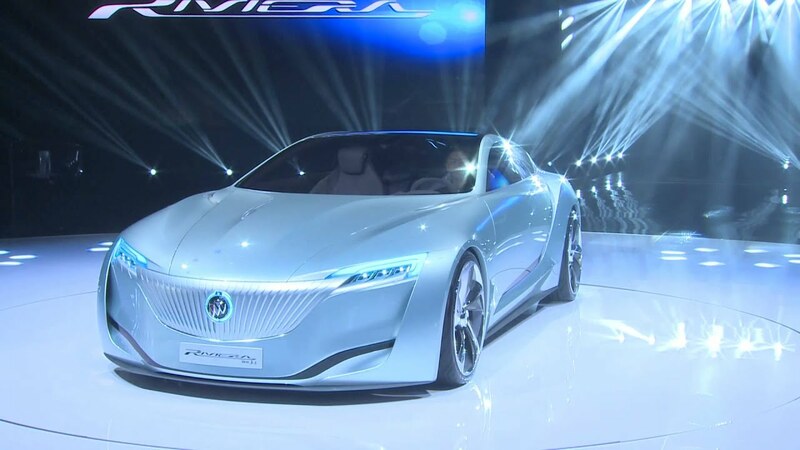 The new Riviera has adopted BIP (Buick Intelligent Performance) technology. 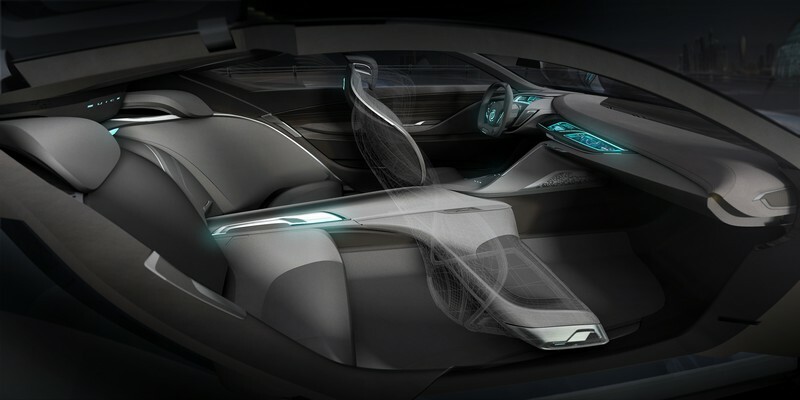 It is equipped with GM's all-new, dual-mode W-PHEV (wireless plug-in hybrid electric vehicle) propulsion system. 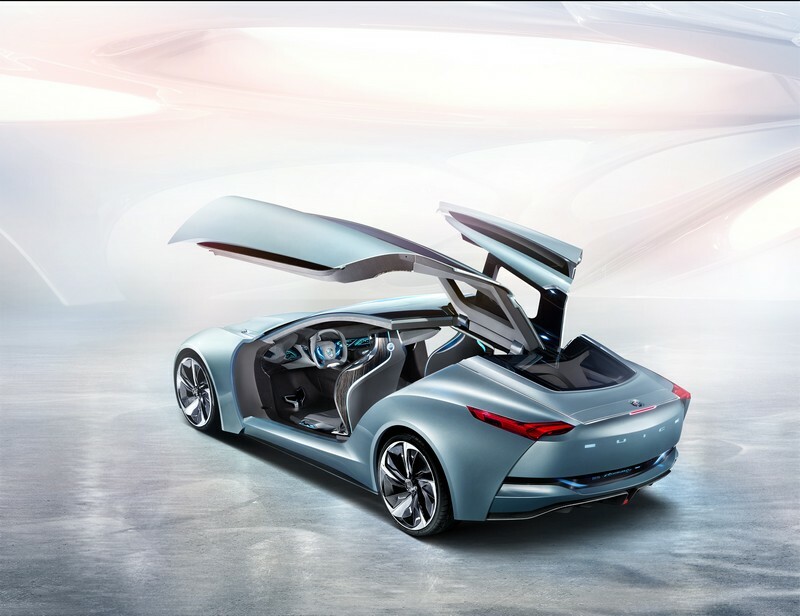 The user can drive the car on green power in electric mode and enjoy the exhilarating handling and performance of a sports car while driving “green” in hybrid mode. 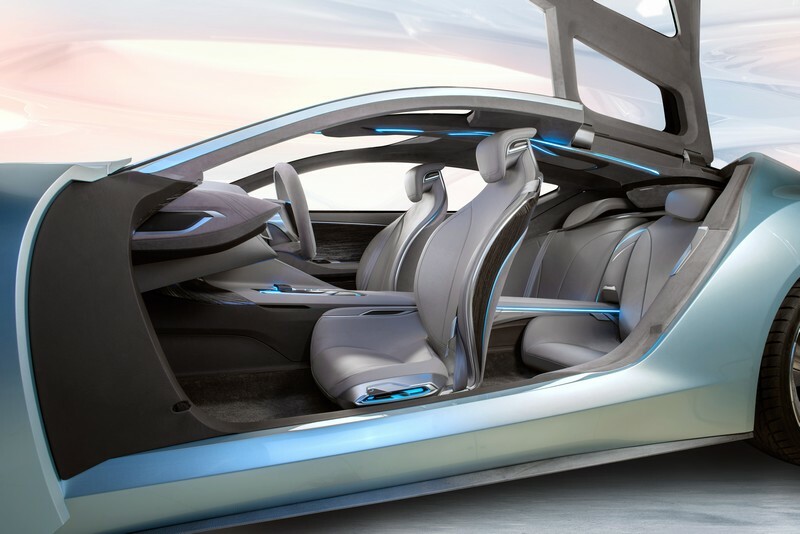 In addition, the vehicle can be charged with a traditional cable or wirelessly via a sensory recharge panel on the car's chassis. 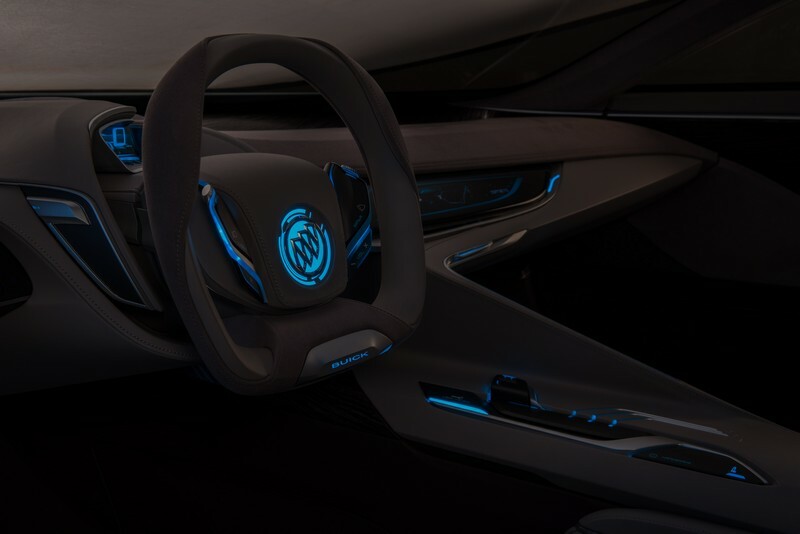 The charging port is integrated into Buick's iconic porthole design.